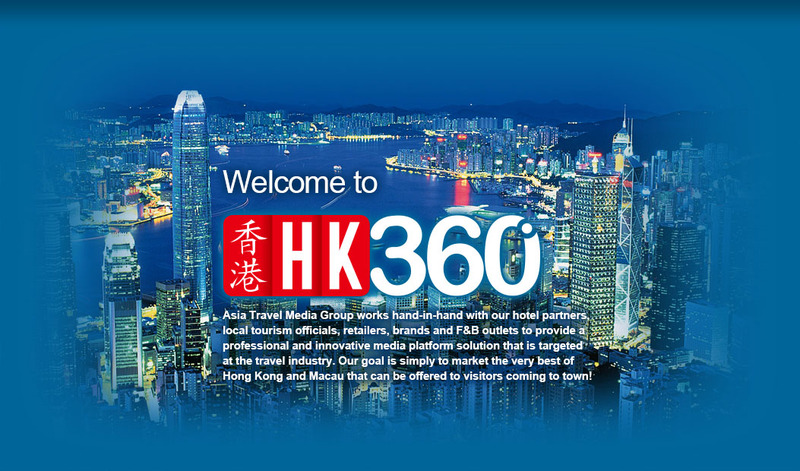 ATMG is the fastest growing, emerging travel media, providing over 100 points of distribution of key hotels, attractions, Visitor Centers of the Hong Kong Tourism Boards and cross-border points. Popular feature sections for visitors on traveling tips, info and tour guides. Comprehensive sections covering wide ranges of topics including arts, exhibitions, local events and regional cuisine, boutiques and more. Introduction of the hottest events and offers around Hong Kong featuring shopping, entertainment, dining, nightlife and style. Easy to use maps identifying Hong Kong key transport networks, roads and visitor locations. ATMG Selections providing convenient shopping and dining guides for tourists highlighting info from key and active products and services providers from retailers, shops, restaurants, bars and clubs, shopping malls, attractions places and more. Value added coupons offer the most updated special discount from various retailers in different categories over key tourists regions in Hong Kong and Macau which help advertisers attracting more clients to their shops or outlets around key tourists regions. Strategic partnering with China Unicom for effective SMS and mobile marketing platform for mainland tourists coming to Hong Kong and Macau during trip planning or telecom mode shift while crossing borders to Hong Kong or Macau for effective and impressive brand enhancement. Strategic partnering with China Post for targeted Direct Mailing services to key mainland tourists with accredited visa in Guangdong Province to Hong Kong and Macau. In addition, we can provide various sorting and selecting of database domestically. Proof certificate can be provided after DM delivery. Other value added services and uptrend marketing clusters, professional services such as iPhone Application Developing & Mobile Marketing Solution, can provide total solution in design & programming, marketing & promotion and content management; ad banner in iPhone App; creative design and production, custom publishing and printing etc. 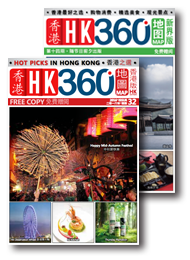 HK360 is an integrated, handy to carry, monthly bilingual travel magazine featuring the latest information for travelers, including special offers and added value information at a variety of shopping, dining and sight-seeing spots in Hong Kong. It is currently distributed to tourists at 100+ locations including hotels, shopping malls, attraction spots, and Tourist Information Centers. Our professional team offers sophisticated content and distribution network catering the needs for active tourists coming to Hong Kong. 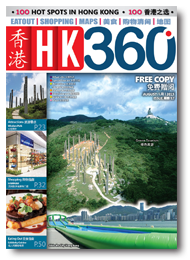 The most recent addition to Asia Travel Media Group’s print media portfolio, the HK360 Maps are available in two versions: Hong Kong Island & Kowloon and the New Territories. The maps offer tourists customized information based on geographical location, making a day out in Hong Kong easy, fun, and convenient! 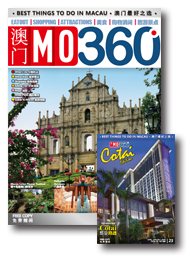 MO360 is an integrated, handy to carry around bilingual travel magazine featuring the latest information for travelers, special privileges and value added information featuring variety of shopping, dining and sight-seeing spots in Macau. It is currently distributed for free to tourists in 50+ locations including hotels, major attraction spots, and cross –border points. Our professional team offers sophisticated content and distribution network catering the needs for active tourists coming to Macau. Asia Travel Media Group ® All right reserved.